A fun ride that explores what it means to be a team player. Amazing how fast two and a half hours can blaze by when you’re having fun, especially when one considers how little story development there actually is in Marvel’s latest blockbuster The Avengers. Sure, there are occasional glimpses of something more than Zip! and Pow!—HawkEye and Black Widow hint at a You and I moment, Cap and Iron Man square off over doing what’s best for one vs. doing what’s best for others, Thor and Loki rehash their old argument from Thor. But as far as weaving these more intimate issues with the larger objective story going on? Bruce Banner and his rage issues present the most compelling personal throughline, yet save for some occasional moments with Black Widow, they really don’t develop to any sort of meaningful conclusion. That said, Iron Man’s Resolve from selfish prick to self-sacrificing team player offers some meaning to the mayhem (the Stark tower now simply says ‘A’). Unfortunately, the sheer amount of visual noise drowns out how he got there. So how does one contend with a 200 million dollar opening weekend? Look to amusement parks for the answer. 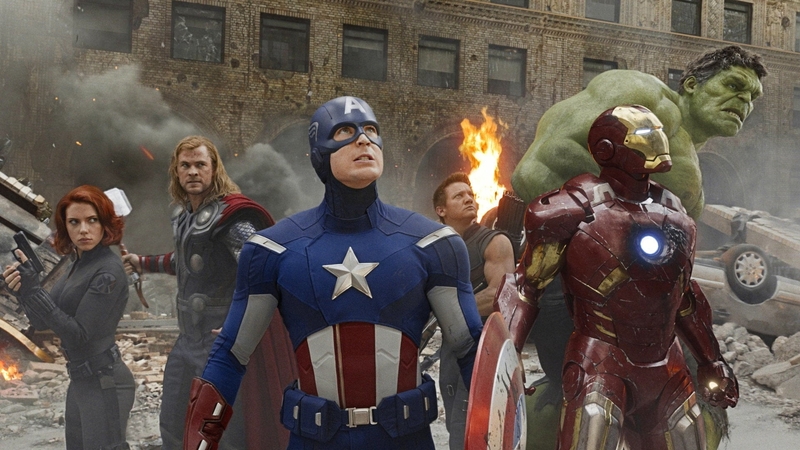 In the end, The Avengers provides a perfect example of entertainment triumphing over structure/meaning, a thrill ride of a tale that reaffirms the trust Audiences lost for Hollywood last year.